i am in favour for coming togather and says to government. again one road is that when one pharma person will become a mp or mla in government. please come togather pharma graduates. I AM IN FAVOUR OF MAKING A PHARMA SANGATHAN. AND for that take initiative . Those who wants the revoution in pharma field must participate 9th May 2012 strike.Against the Increased Fees of Diploma,Degree,Master in pharmacy & Unemployed condition. Please forword it to your Pharmacy friends. In India, there is a limited scope for pharmacists and all of them are not lucky to earn good pay. In Middle East, pharmacists gets good salary. In UAE, the minimum salary of MR is around 10000 AED (Rs150000) per month. We have to pass the MOH exams in respective countries to get the practising licence for MR. In Marketing only pharmacists are supposed to promote the products to the physicians. There are opportunities in manufacturing too. But very few manufacturing units are there. No idea on the salary. In UAE they dont provide accomadation. we have to pay the rent from the salary thats around 3000 AED pm. For a family of four, the monthly expenses are around 4000-5000 AED. In Oman,200 OMR one can spend a good life with normal entertainment included in the monthly expenses. Here the company provides free housing + car. The rest of the salary can be saved say minimum 65000 per month if one is working in retail pharmacy. can u put some light on MOH exams........how to apply if ur in india or how to clear it etc???? WT is the good option higher studies or to getting a job for better future . . .. ? Thnks for suggestion of job in UAE. Bt how to proceed for gud job in UAE.?? MARKETING IS ALL THAT A B.PHARM GETS AFTER STUDYIN FOR 4 YEARS,COMPLETING JOURNALS,ASSINGMENT FOR WHOLE 4 YEARS....ABOVE THAT SPENDIN SO MUCH ON EDUCATON ......AND THEN WHAT WE GET NO RESPECT WHAT SO EVER............WORKIN IN PRODUCTION FOR LESS THAN 10K(THAT TO IF THEY APPOINT U)........FEELS LYK HELL!!!!!!!!! here i m in bhopal doing same, means doing lectureship from last 3 year. so here we have 2 vacancies medi. chem. person, u can send ur resume. hello, mam i am too a parma graduate and working as a lecturer in private institute since two years of experience but still in the academic their is no any growth regarding salary scale its still 6500/- only but that is also true that being a girl academic is more safer & comfortable compare to company .THANKU can u suggest me something what to do next. 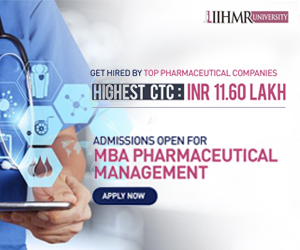 You can try in the emerging areas of Clinical Research, Pharmacovigilance, CDM, Oracle Clinical OC/RDC, SAS, Bioinformatics, IPR & Regulatory Affairs for bright future. Presently as an employed b.pharma, I will like to clear the complete scenerio of Indian pharma. Starting with the very new job i.e. 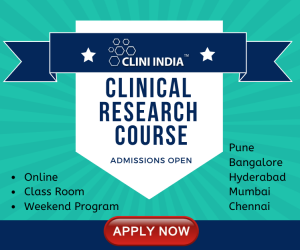 CLINICAL RESEARCH..which is completely a project based job whr u hav 2 persue some course of studies & after ur project completes ur job gone Then u hav 2 luk for another job wth strong reference. Secondly n production as per our course of studies we have found lots of manufacturing problems bt HOW 2 OVERCOME at that point of time is the main issue along with the proper manpower handling, bt in this case we have one DOMESTIC & REGULATORY phase whr u will have complete knowledge in domestic sector with less SALARY bt no knowledge bt high SALARY in Regulatory sector[as compared wtj domestic] But starting with domestic will have very less chance 2 enter in regulatory afterwards if they have no reference. thirdly it our Marketting whr better marketing targets is compared with how u can satisfy a doctor with money...etc..etc...that r also doing by BSc BA Bphrm .......& for abroad they need experience frm INDIA & for Masters students they are over educated in this field. hello friends!! m anshi i hav done M.Pharm in pharmaceutical chemistry in 2011.After my M.Pharm i was not getting good job so i joined sales field bcoz i was frustated....now i m having 6 months experience in sales. Plz help me out wheather i shud continue this and go for MBA TO GET INTO PMT (PRODUCT MANAGER)....or i shud go for academics....as i m really confused and frustated now....wat to do??? As you have master degree in pharma my opinion is u go to acadamics & apply for Phd as for Phd program their is scholarshir & you can get about 20000 INR per month for lecturer. HI.Anshi, iam Sourabh-Sharma from jammu and im also Mpharma. I have experience in phsrma industry. You continue job in sales and do correspondence MBA.You will definitely get good hike... All the best. sir leave your line immediately, go to the jobs in industry. what ever the salary but go for it. your job profile and salary will be right in max 1.5 yr and u will get a good job after some experience and a good salary also. hello Anshi, i am Deepak Vekaria, a B.Pharm Graduate from MET's Institute of Pharmacy, Mumbai in 2005 - 09 Batch and i do gave M.Pharm CET. but dint cleared and also dropped plan of doing it coz that time itself market scenerio wasnt well. and now it has become more worse. so i opted Sales Field, joined Ranbaxy Labs. gained 2 years Experience (which is criteria to get into Part Time MBA) and now Completed 1 year of MBA-Marketing and 2 Years remaining and then will join PMT. i cant suggest Full time MBA coz when you will be out after MBA, you will still be a Fresher and have to struggle to get into PMT. so pick the way i choose. and you'll fly. getting into PMT after Part Time MBA will be much Easier as u'll have full time Sales Exp. of 5 Years. hey I am getting admission in nmims for b.pharm +MBA , should I take it ? dont opt for Correspondence MBA if you want to think of a better future, opt for Weekend Classroom Course Part Time MBA. as Correspondence or Distance Learning MBA wont add value to your C.V. Myself Ravi Sharma, Working as a Q.A- Manager in a API company which do produces most of the bulk drugs and active ingredients. Now where is the problem the people are facing? Choices are many there but the person has became chosen to some one field. Pharmacy is the field which do applies to all the areas which do have the greater impact on the Product manufacturing and planing and also marketing. I agree that the M.Pharm people are not getting jobs anywhere. Reason they want the salary at the stage of Fresher more than what the trend is going on currently. Other than the field of Finished product manufacturing there is another field of chemical synthesis. Today many API company are hiring B.Pharm and M.Pharm and paying good salaries to them. Quality Assurance and Quality Control is the field which are in discussion today. Many things are getting upgraded and changing is taking place which is being analysed and implemented by the individuals of the Quality Assurance and Quality Control. It will be my advice to upgrade your self, refer the guidelines and the methods which has been changed. For any queries and help u all can mail me on ravi238873@gmail.com. I will surely help all of u to get upgraded. You must be unaware of the APIs what they are doing. API is now recruting B.Pharmas and M.Pharmas. They are giving preference to Pharma people. The person with such qualification are getting salary even above 25K per month with good increment. No one can provide jobs in any field. Recommendation doesn't work due to the so much competition in this field. We have to upgrade ourselves. this is a good joke that salary is around 25k in many companies even the starting salary is not even half of that and its true that without references people hardly get jobs and bsc and mcs people do get in because they are ready work in less pay as they havent spend the time and money which pharmacy graduates spend. Then friend i would say that you not have seen the face of the pharmacy fully in your life. I am earning more than that. Starting salary is based on the knowledge you have and how you crack the interviews. Its true that bsc and msc are being hired but the pay scale i not more than that of a person of pharma field. Look if you expect starting salary more than 20K then i will say that no company will hire you. First learn the culture of the industry and then think about some earning. If you are true pharmacist then i would say go for some Pharmacy shop in Hospital or some where else or go for research line which is the real profession of the pharma. Design a molecule, find some thing. I'm a M.pharm student, looking for a job,today there are no vacancies are observed. But a fresher How can enter Without any reference into pharma industry even though having ability to work hard. can you please guide in this case. what is the starting salary for m.pharm completed fresher in qc n qa? I jst want to ask only question that is WAT IS MY FUTURE!!!!!!! How could we cross the gpat exam or niper test.? I AM GPAT QUALIFIFED AND GETTING STIPEND STILL I CHOOSE NOT TO PURSUE MPHARM. IF YOU GET IN NIPER MOHALI THEN ONLY GO FOR IT. every pharmacist should get unite and make revolution on pharmaceutical field to change the education regulation and to make strict rules. jugad ,jugad ,jugad .these are 3 words that can fulfill ur drms of working in industry.other wise life is hell after mpharma .It does not matter whether u did mpharma from nipper ,govt or pvt college .neither your gpat scorecard will fetch u a good job . I am here to offer partnership in Medical store business opportunity for pharma fresh or exp. in mumbai,maharashtra. Contac me thegoldenman93@gmail.com as early as possible. WHEN I COMPLETED M- PHARM, I SEARCH JOBS MOST BIG CITIES IN INDIA N I EXPERIENCE LOTS OF FUNNY COMMENTS FROM PHARMA MNC, AT THAT TIME I VISITED DOOR TO DOOR OF PHARMA COMPANY N ASK ANY VACANCIES IS THEIR N GATE KIPPER SAYS ME YES (QA,QC,PRODUCTION)... BUT WHET THEY CALL TO HR N GIVE IT TO ME N TALK WITH HIM THEY CALL U R BSC /MSC CANDIDATE , I SAID NO I M M- PHARMA CANDIDATE N HE REPLIES ME HERE VACANCIES FOR ONLY BSC N MSC CANDIDATES...... THATS TRUE FACTS..
do ve hv gud opportunity in industries after ph.D? now iam doing my ph.D in phamaceutics as a part time and working as assistant prof. for a pharmacy colg. i just want to know that after completing my ph.D can i get a gud job in industries?what range of salary i may get?wil they me as a fresher? or its better to cont. in academics itself? plz suggest.